Seriously, the cool summer weather has got to stop. It's so confusing, because I still want to dress summery (even though my new fall clothes are calling my name from the back of my closet) but don't want to be too cold. 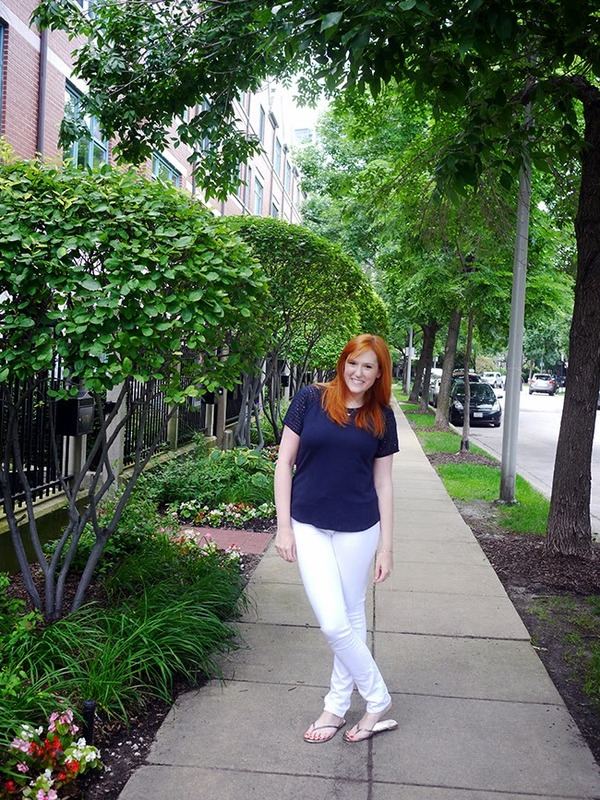 Enter white jeans and a sweatshirt top. 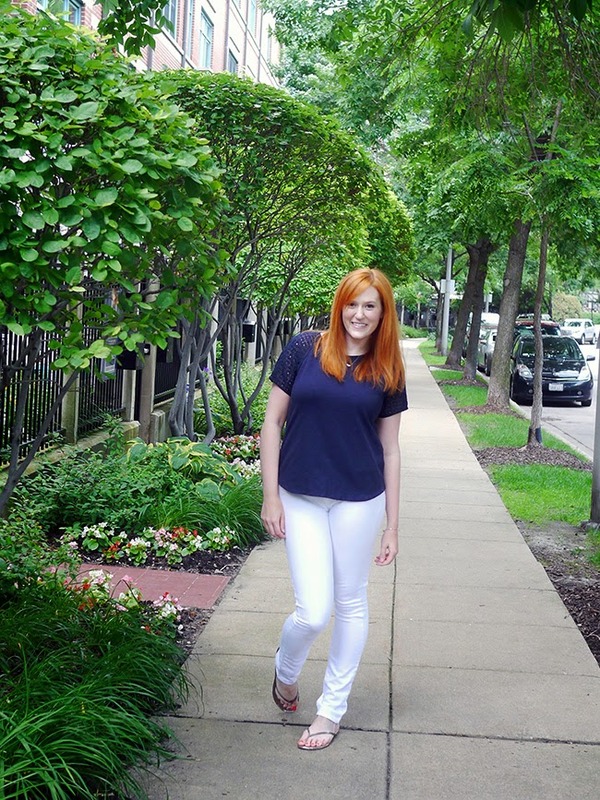 White jeans just say warm weather to me, and while this top is a sweatshirt, it has eyelet on the sleeves which adds to the summery vibe. 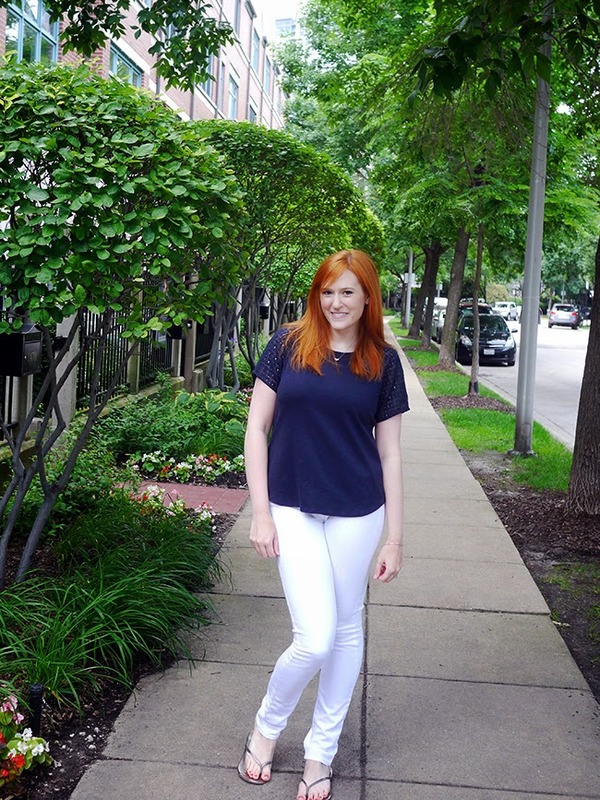 Plus, the classic nautical combo of navy and white is just about as summery you can get. Have you been experiencing cooler weather in your part of the country? I still haven't fully thawed from last winter, so I'm hoping for more warm days before fall rolls around. 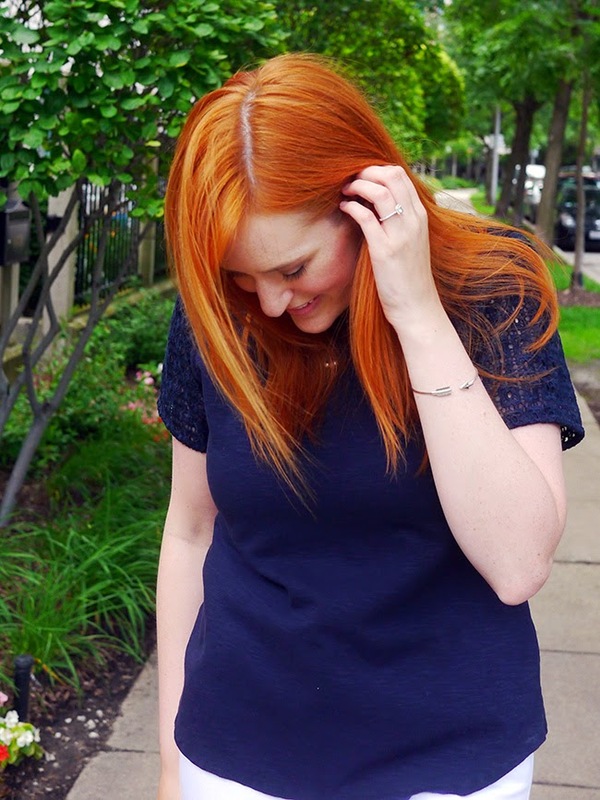 I love this navy top! I didn't know it was a sweatshirt top, that makes it even better! I hope things warm up for you soon. We only had one cooler day a few weeks ago here. I love the navy and white together. It's been pretty warm here in the northeast, every day has been in the 80s. I love it though...summer is my favorite! I WILL SEND YOU THE KANSAS HEAT GLADLY!!!!!! White jeans, yes ma'am. You're looking super chic!